ADV Masonry specializes in Tuckpointing but provides a variety of Mason and stonework services, including new construction, tuckpointing, chimney top repairs, waterproofing, and indoor and outdoor fireplaces. We serve the entire Chicagoland area including: Naperville, Downers Grove, Lisle, Wheaton, Oak Brook, Hinsdale, Burr Ridge, Glen Ellyn, Orland Park and Highland Park. Tuckpointing is a precise, time consuming and labor intensive process that involves removing and replacing crumbling and missing mortar between stones, blocks and bricks. Tuckpointing prevents further deterioration due to moisture penetrating the failing joints and compromising the whole structure. Along with repair, we determine the cause of cracks and implement measures to prevent future damages. Is your chimney slowly deteriorating? This is often the result of poor craftsmanship that leads to pre-mature aging and cracking. Once cracks appear, water starts working it's way into the interior of the structure eroding it from the inside and creating more cracks and damage as time goes on. Luckily ADV Masonry can save your chimney for a fraction of the cost of total replacement. We will match bricks, replace the concrete cap, tuckpoint the affected area, and seal the entire surface. 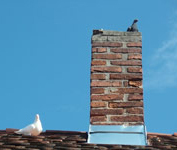 The required repairs all depend on the condition of your chimney. Contact us today for a free quote. Waterproofing is a great insurance policy following restoration or repair. By waterproofing your newly repaired brick or stonework you will be prolonging the life of the work as well as ensuring dry interior walls. It's like double protection! Certain masonry materials soak in water and may get darker due to prolonged exposure to moisture, weather sealing will help prevent that effect. Prior to applying the sealant we may have to clean dirty surfaces. 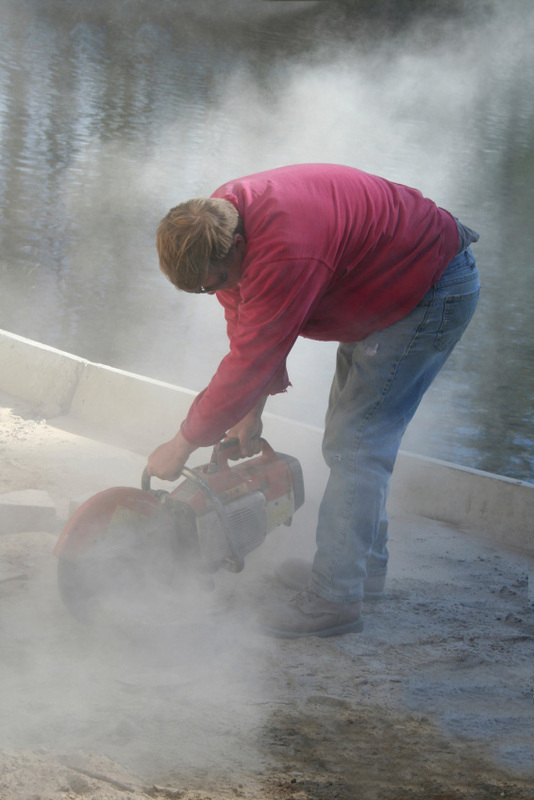 The handling of damage to and repair of Limestone can make the difference between a good job and a marginal one. Over the years, ADV Masonry has become experts on repairing and replacing limestone. Whether it is a counter top, sink, shower or any other home area, ADV Masonry has the expertise to totally replace your limestone or to make smallrepairs so that it looks like new again! EIFS (Exterior Insulation Finishing System) is a great choice for homeowners wanting to replace exteriors due to damage caused by environmental conditions or simply to renew the exterior appearance of their homes. Our service includes removal of old siding or stucco and replacement with new materials like cultured stone or thin cut veneer. 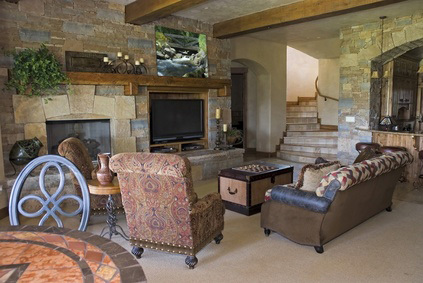 Cultured Stone is a lighter weight material that doesn't require a concrete foundation, and best of all, it looks like real natural stone! There are thousands of different styles to choose from. Along with EIFS being a great way to renew the exterior of your house it can also be used on the interior for fireplaces, vine rooms, cocktail bars or anywhere else! Thin cut brick veneer is extremely popular due to its durability and great looks. Brick Veneer is a great replacement for stucco and siding and will solve any existing water damage problems. If you already have some brick on your home we can match the veneer up perfectly. ADV can outfit your home with wood-burning, gas, or combination fireplaces. An ADV representative will come to your home and present you with options and help you design the fireplace face. Material options include cultured or natural stone, brick, limestone, or combinations of those materials. Whether you're looking for an aged or classic look or a modern style, ADV's highly trained workers can guide you towards the perfect solution! 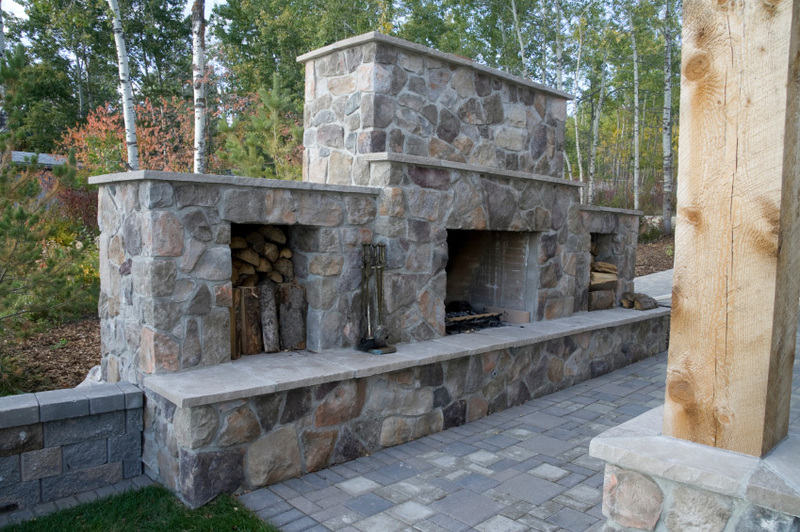 An outdoor masonry fireplace adds value and function to your home. Outdoor fireplaces crate the perfect environment for barbeques and other out-door events with family and friends. ADV is an experienced outdoor fireplace builder and has many material and style recommendations for Chicago's crazy weather. Along with the actual fireplace, there are many additional options, like barbeques, pizza oven, masonry countertop even cabinet space! These features will make your back yard events unique and unforgettable! ADV Masonry can take care of your wall chasing needs. We offer wall chasing for all your electrical and plumbing "rough-ins". Chasing is provided at various widths and various depths to suit your needs. All work is dustless diamond chasing. We cut chase, knock out chase and clean up all debris.